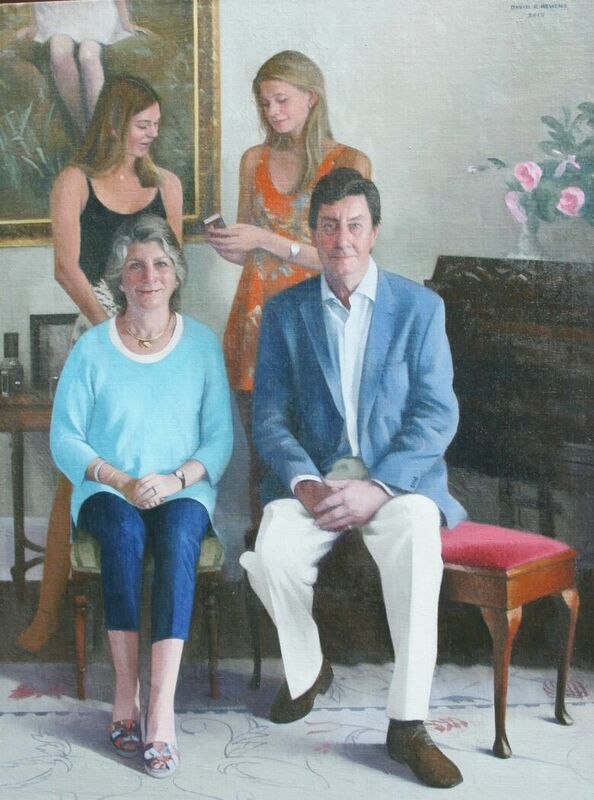 The challenge of a family portrait painting is in arriving at a satisfactory arrangement/composition of the figures, as opposed to a regimented/"group school photo" arrangement. The family home with the piano stool and the large painting on the wall, with light coming from a window to the right, provided an excellent setting. It was decided to use a smart phone as a "linkage" between the daughters.